Cebu will celebrate Osmeña day on September 9 and it's declared as special non-working holiday in honor of late Cebu Governor and 4th President of the Philippines, Sergio Osmeña Sr. This day is considered a Special non-working holiday in the whole province of Cebu and its component cities. Osmeña day will be celebrated every September 9 of the year. September 9, 2014. Begun and held in Metro Manila, on Monday, the twenty-fourth day of July, nineteen hundred and eighty-nine. SECTION 1. September Nine of every year is hereby declared a special non-working public holiday in the City of Cebu and the Province of Cebu with its component cities and a special working public holiday in the rest of the country, in honor of the late President Sergio Osmena, Sr.
SEC. 2. Batas Pambansa Bilang 937 is hereby amended accordingly. SEC. 3. This Act shall take effect fifteen (15) days following its publication in two (2) national newspapers of general circulation. This Act which originated in the House of Representatives was finally passed by the House of Representatives and the Senate on March 29, 1990 and April 3, 1990, respectively. 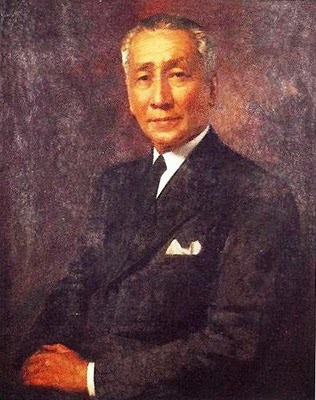 QUIRINO D. ABAD SANTOS, JR.
Get a PDF copy of the Republic Act 6953.